Proposed by Dr. Elias Tam from EHA Clinic. Most of us spend our early years building up our career or business, often at the expense of our health. We may try our best to make it up by taking supplements, exercising to keep ourselves looking good and healthy. Ladies often spend a lot of time and effort taking care of our face, going for facial and treatment, and applying various lotions and creams at home. What many often overlook is the health of our hair. Sure, we go for regular haircuts and hair treatment once a month, but it does not really bother us until we notice a severe hair loss during shampooing or a bald patch that cannot be covered up! It is therefore important for us to start taking care of our crowning glory as early as possible. Taking care of our hair is similar to conventional gardening, where different elements work together in harmony to bring us the beautiful crop. Just as we cannot ignore any of the factors in gardening to get good plants, we need to take care of all the factors in Hair Gardening to achieve good hair growth. Skin is the largest organ of our body and any health issue will affect it. Maintaining a healthy lifestyle would certainly be great for the skin and the hair. There are various medical conditions such as fungal infection and certain immunological diseases that may result in hair loss. A proper medical examination and investigation may be needed. A balanced diet with sufficient zinc, iron, Vitamin B (especially B6), Vitamin C and protein would be needed for healthy growth of hair. On the other hand, an overdose of Vitamin A, selenium or iodine may result in hair loss (relogen effluvium) and, hence the need for sufficient rest and relaxation. While there are many causes for hair loss, such as fungal infection, stress and mal-nutrition, the most common cause of hair loss in man is still androgenetic in nature (due to DHT). The effect of DHT (Dihydrotestosterone) in hair loss may be reduced by DHT blockers, such as finasteride and dutasteride. These medications may only be used in men. For topical application, minoxidil remains the most effective treatment. Although the actual action is not fully known, it does stimulate vasodilation and this increase in blood flow may help to bring more oxygen, blood and nutrients to the follicle. Low-level laser treatment (LLLT) has been shown to improve the hair condition by stimulating the small hairs (vellus hair) to thicker hair (terminal hair) for some people. These treatments are found to be more effective for younger men and over the vertex area. Continuous treatment is needed for the effect to remain. 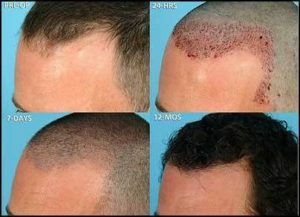 For the hairline and more difficult cases, hair transplant offers possible help. By transplanting the stronger hair follicles from the occiput area (back of hair) to the front or vertex (top), these hairs are generally more resistant to DHT and will continue to grow as if they are still at the back of scalp! The standard method of cutting off a strip of scalp from the back to obtain the hair follicles has been effective and results in the good growth of hair. The only challenges are the risks associated with the excision of the scalp. It may result in a visible scar, numbness and damage to blood vessels (bleeding and possible tissue injury to the area supplied by this blood vessel). Follicular unit extraction (FUE) circumvents most of the risks of strip technique. 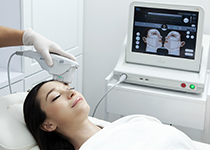 It works by extracting the hair follicle one unit at a time by using a small punch between the size of 0.8mm to 1.3mm. As a result, there is no obvious scar, minimum risk of nerve or blood vessel injury and the area heals rapidly without any stitching. The downside is more time is usually needed to complete the procedure as each follicle is extracted individually. The result is natural and the transplanted hair will grow. You can cut, dye and style it. Besides hair loss, hair transplants may also be used to cover scars due to burns or surgery such as face-lift or thread-lift. There are also those who are born with little eye-brow, sideburns or eye-lashes who may benefit from hair transplant to these areas. It gives a more natural look compared to those using tattoos. In some who may not have enough donor’s hair, we may also harvest some hair from the body! The better response would be from the bread. The result from the arms and leg may be more unpredictable. It usually takes several months before the transplanted hairs grow so you need to plan for some time if you have a targeted date to achieve your desired result. One of the most obvious benefits of this technique is that it leaves minimal, barely visible scarring. In some cases, patients are scar-free and if scarring occurs, it is more easily concealed. This method is also less invasive, decreasing the chances of nerve damage. One of the main disadvantages of FUE is that follicles can be more easily damaged. 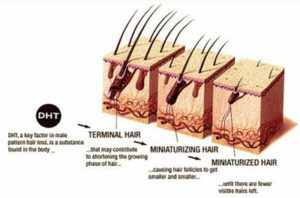 Hence, if you seek the help of a less experienced doctor, less hair can be obtained compared to other hair treatments. FUE generally cost more than other hair treatments in Singapore. increase cellular activity within their broader array of light energy which provides complete scalp coverage. The LEDs, with their broader array of light energy, help provide complete scalp coverage. 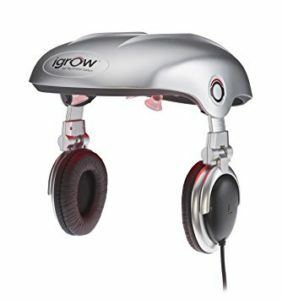 Effective and perfectly safe, this combination of red therapeutic light helps to rejuvenate the hair follicles. Contact us to book an appointment for iGrow today. 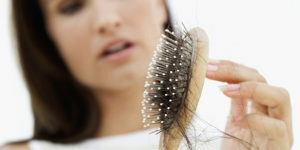 Having hair loss worries? Contact us at skincare@eha.com.sg to find out more information about recommended practitioners who can help you! Disclaimer: FUE Hair Transplant is not provided by EHA Skincare. Losing hair can be a traumatic experience. Thankfully, with the help of suitable medical treatments, we will be able to restore health to our crowning glory. Find out more about the popular hair loss treatment - FUE in the video below! Feel free to PM us for our recommendations on skilled Doctors! Disclaimer : EHA Skincare does not provide FUE service, however iGrow is available at EHA Skincare!